I wanted to do this post last week for Saturday Snapshot as St. Patrick's day was an ideal day to post some more pictures from this country. How ever, the idea didn't materialize. 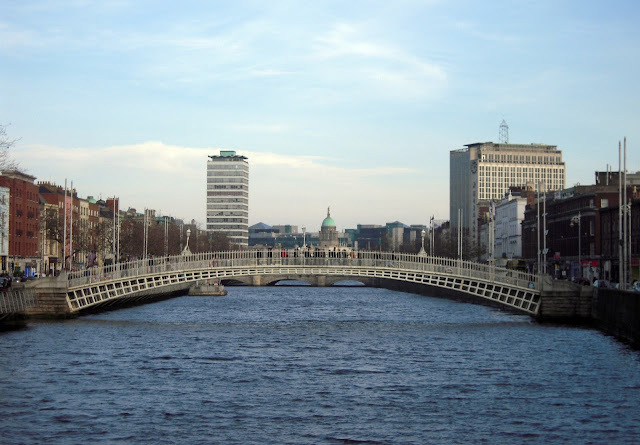 So, here I am this week with some random pictures from Dublin, Ireland for Saturday Snapshot. 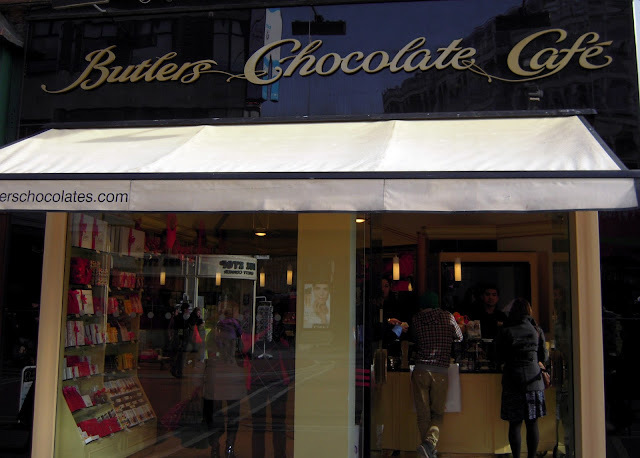 Bulter's Chocolate Cafe at Grafton Street, Dublin. I love those narrow streets! You don't see that much here in North America. I like the appearance of those buildings with the flowers hanging there. In the second photo, is that a walkway only? Oh, how I would love to visit Dublin and then rent a car and travel around the rest of Ireland! Lucky girl! Oh, I do so want to visit Ireland someday. You've tempted me with these beautiful shots. Interesting and nice with all these shots from Dublin. Thanks for sharing. What a beautiful city. I love the buildings and streets, everything looks so clean! I love that bridge too, what great architecture! I would love to visit there someday! I love the bridge shot, and the chocolate cafe sounds yummy! 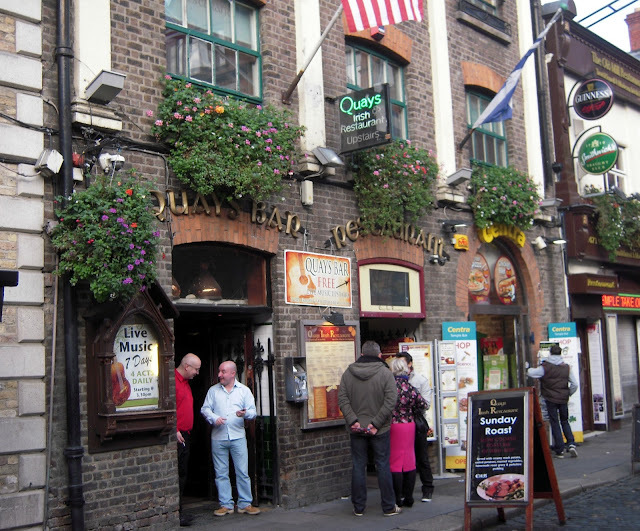 Thanks for giving this armchair traveler a chance to visit Dublin! Ireland is somewhere I would love to visit some day. 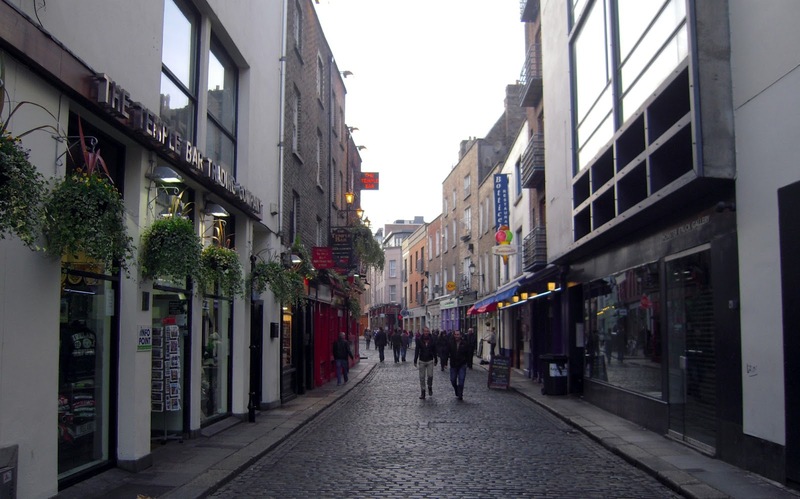 Great shots, I was lucky enough to visit Dublin 2 years ago- I loved it. A beautiful city. Hopefully I'll get back one day, I should post some Dublin pictures too.